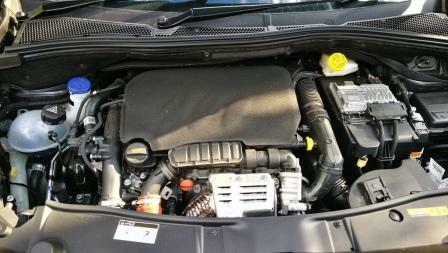 A surprisingly torquey twin-turbo 1.6L diesel. At just 1500rpm there is 340Nm, and peak power isn’t bad either. 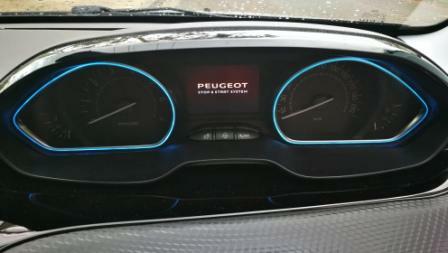 At 3500rpm there is 103kW, although by then it’s run out of puff. 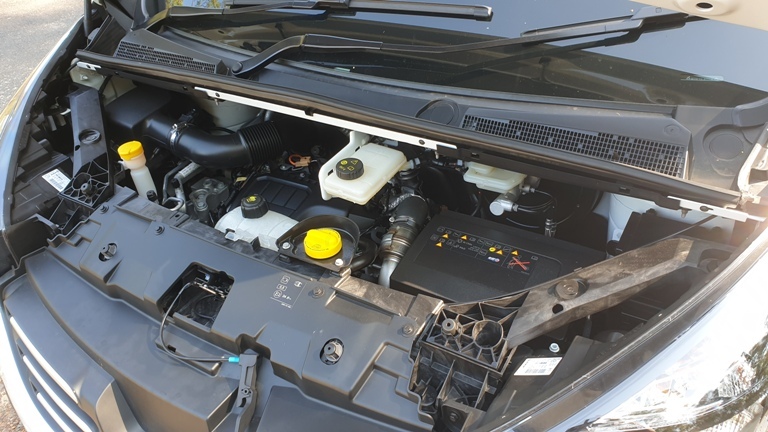 The transmission fitted to the review vehicle is a slick six speed manual, driving the front wheels, that’s geared to take advantage of the torque early on to get it under way. There is no auto option. Economy is rated as 6.2L/100km, and the final figure of over 420km for a quarter tank (80L volume) consumed speaks volumes. And that’s with a dry weight of 1,736 kilos. A van. Yes, it’s stating the obvious but sometimes the obvious is all there is. From front and rear perspectives its virtually cubical. From a side profile the long wheelbase (3,498mm inside an overall 5,399mm)is readily apparent, as is the elegantly profiled nose, complete with bonnet. This makes accessing the engine easier and provides a higher measure of impact protection. 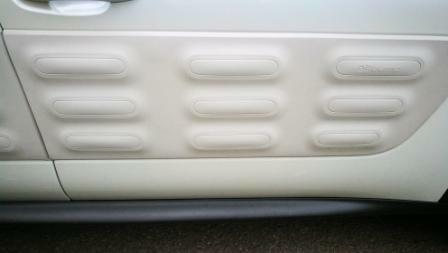 Front overhang is 938mm, with a rear overhang of 968mm. The body in white highlighted the tinted windows fitted to the left and right hand side sliding doors which aren’t remotely operable. The windows themselves house slightly tricky sliding windows, and pull down sun shades. 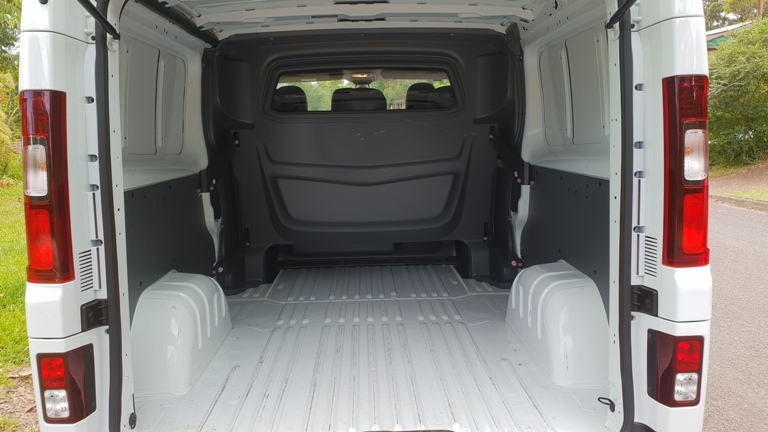 Overall cargo is rated as six cubic metres for the standard LWB, four metres for the crew cab version. 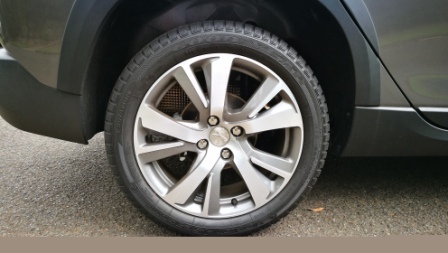 The alloy wheels are 17 inches in diameter and are wrapped in commercial spec, yet very comfortable and grippy, rubber of 215/60 profile from Dunlop. The non-powered tailgate is surprisingly easy to lift, with a balance point requiring little effort in order to raise it. 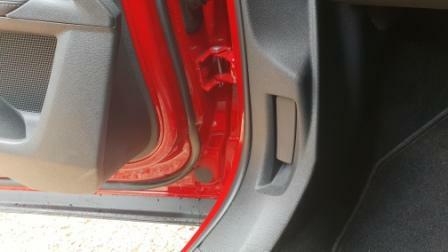 There is also an embedded pullstrap to help lower the door. Both driver and passenger door mirrors have a number of wide angle mirrors to back up the reverse camera and rear sensors. Got seating for six. 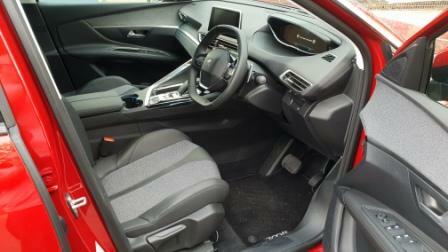 There’s adequate room up front for three, even with the protuberance for the gear selector. 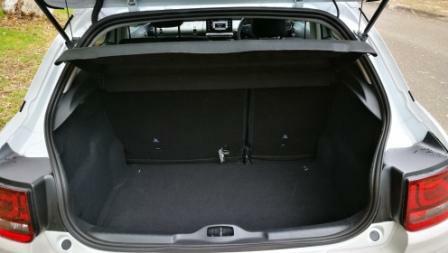 Underneath the centre and left seat are storage compartments which are accessed by lifting the squab. The driver’s storage has a tool kit. The other three seats have plenty of room all around, and behind them was a bulkhead separating the passenger section from the load bay. There was just enough body flex to have the bulkhead mounts squeaking quite a bit. 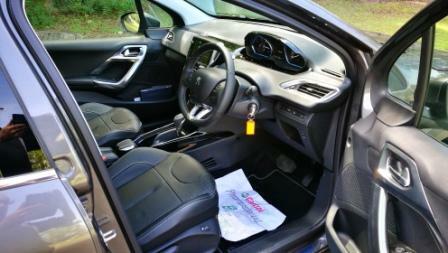 Although clearly a commercial vehicle, Renault’s ergonomics cant be faulted, for the most part. 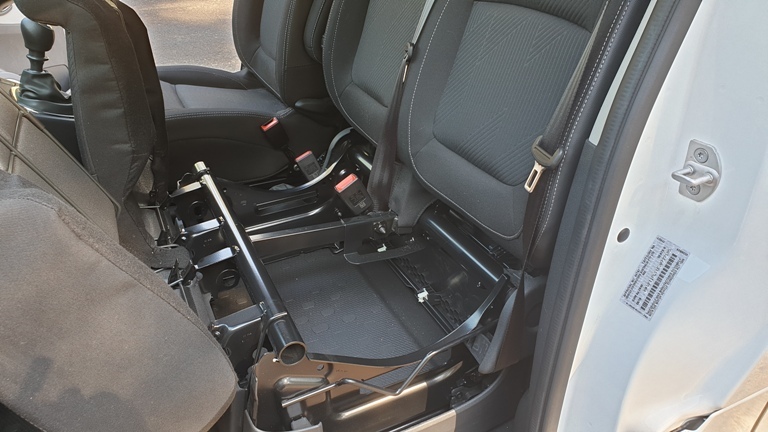 The gear selector housing has some impact on the centre seat passenger, but that’s unavoidable as it’s also ideally placed to fall naturally to hand for shifting. The starter button is quite visible, so there’s no hunting around. Switchgear is just where the body feels it needs to be, and the left mounted indicator (with auto headlights) is a fingertip away. 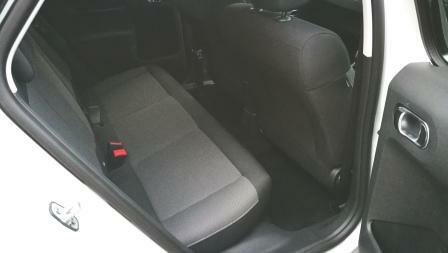 The floor is easy to clean rubber, with driver and front passengers stepping up easily. 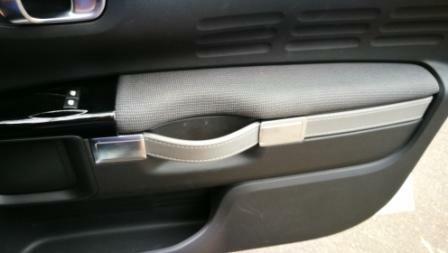 A handy touch or two are the inbuilt mobile phone holder and upper dash storage locker. The phone holder is engineered to twist and to extend in height with the push of a button. 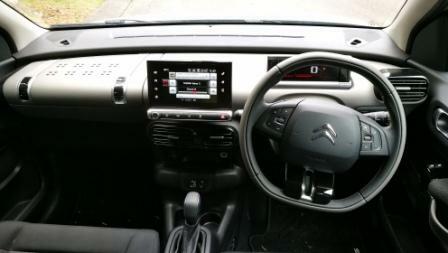 The seven inch touchscreen is easy to operate and read, and there is the pleasant addition of digital radio. 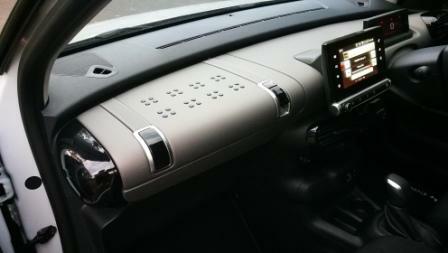 However, much like the Megane recently reviewed, the tuner sensitivity isn’t on par with that from other manufacturers. 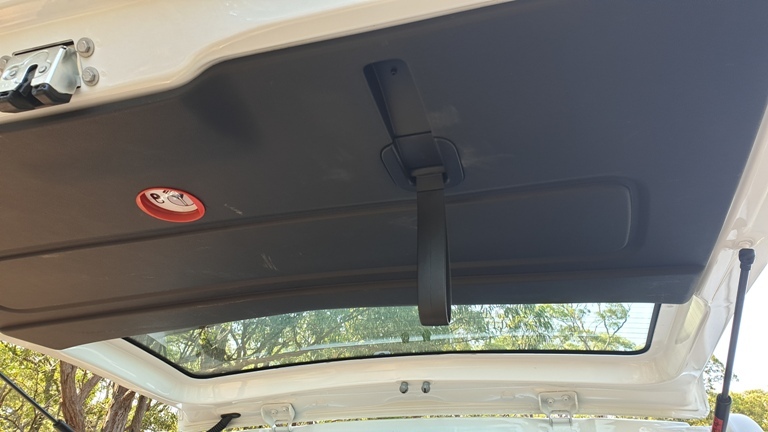 Having said that, overall sound quality from the door mounted speakers, partnered with a pair mounted above and behind the driver and left front passenger, delighted in their depth and clarity. More car like in ride and handling than it had the right to be. 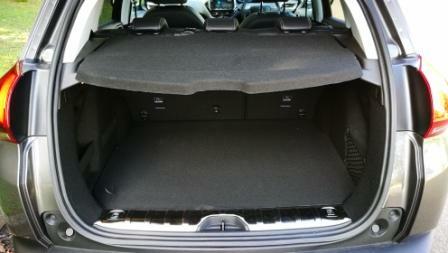 The front wheels are ahead of the front seats but felt as if they were directly under them. With such a long body and wheelbase there was an expectation of dragging tne rear wheels on curbs in corners. It simply didnt happen. Somehow, the knowledge of where each corner was became almost intuitive vey quickly. Not once did the length of the Trafic Life pose an issue. Driven in the environment it was, a predominantly urban drive, and with one to four aboard, plus a week’s load of shopping, the 1.6L engine never seemed as if it would struggle in this specific kind of usage. If used in a purely commercial way, that would probably be a different story. But that’s where the low gearing for first and second worked so well. Below 1300 or 1400 revs, the Trafic Life had little. Life, that is. But once tbe turbo spooled up there was a rapid change in tne nature of it, and the 340 torques introduced themselves with a flourish. Further up the gears and in both town and highway driving, the Trafic Life was rarely found wanting. 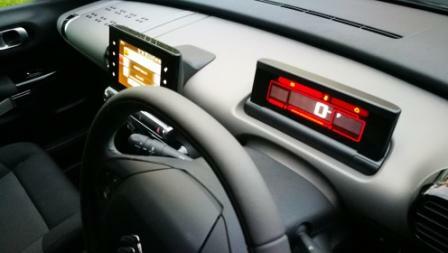 The engine management system has an anti-stall feature, and once or twice at traffic lights this kicked in, enabling the get-away otherwise wanted. It’s a superb highway cruiser, and around the urban drive cycle, fourth or fifth was all that was required. 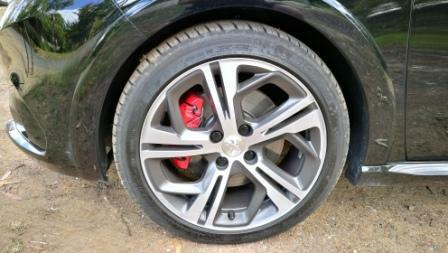 Braking, too, was wonderful, with an easy to judge feel, and plenty of speed reduction quickly. 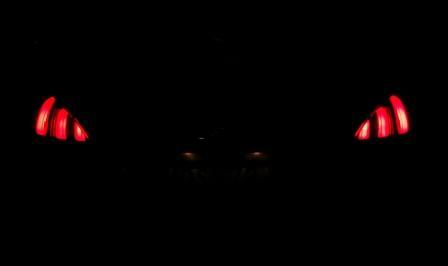 Actual ride quality was enjoyable, with a firm, but not unpleasantly so suspension setup. 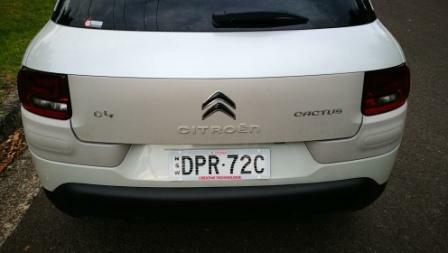 Matched with a quick steering rack and driven hard through the tight and twisting turns on one particular Blue Mountains thoroughfare, the Trafic Life demonstrated just how well thought out and engineered the underpinnings are. What About Safety And Warranty? 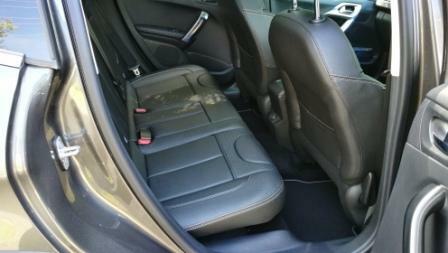 Front and side airbags, daytime running lights, Hill Start Assist, and the mandated traction aids are standard. 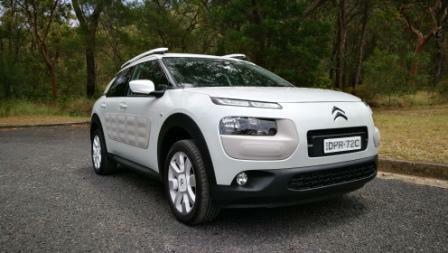 Renault doesn’t list AEB or distance sensing cruise control. 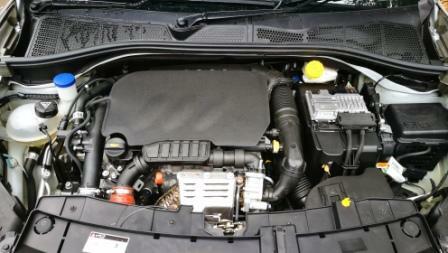 Warranty is listed as 3 years, unlimited kilometres, with annual or 30,000 kilometre service intervals. 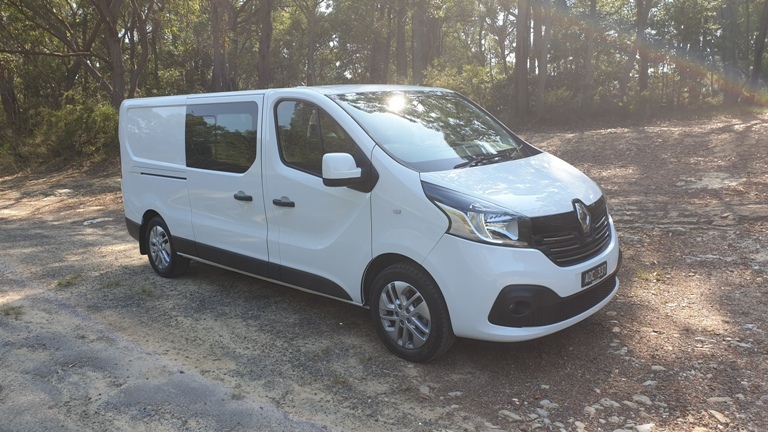 PF handed back the 2019 Renault Trafic Life with regret. 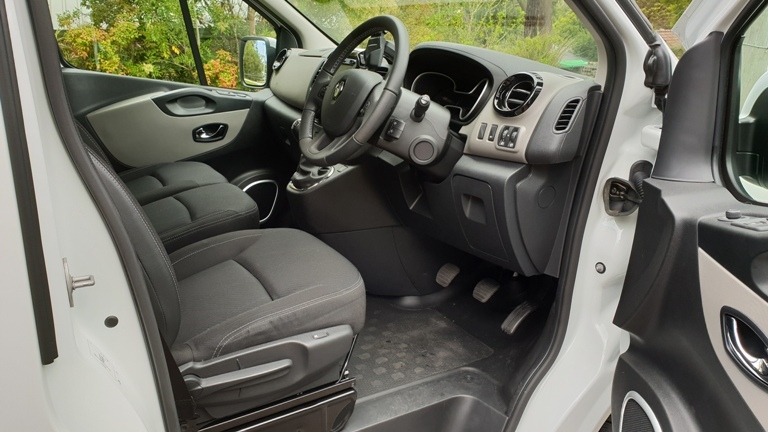 It’s a better than expected family vehicle, economic to drive, comfortable whilst doing so, and has an easy to maintain interior. 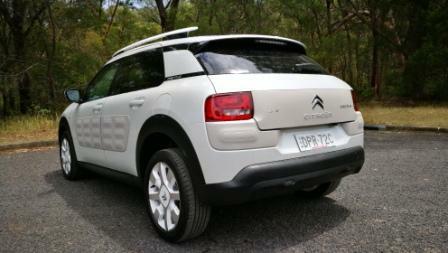 In colours other than the plain white our review vehicle came in, it’d also be a reasonably handsome looker on road. 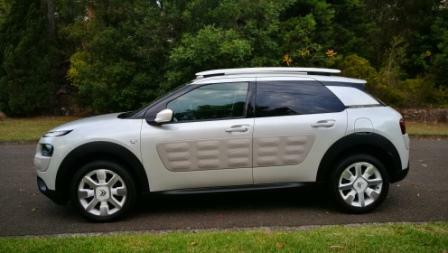 And at under $50k driveaway its a screaming bargain as a people mover. 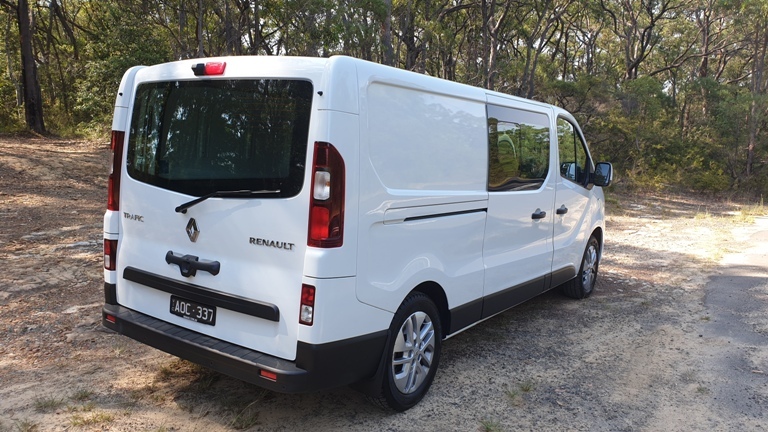 For more details on the Renault Trafic range, here is where you can find them. 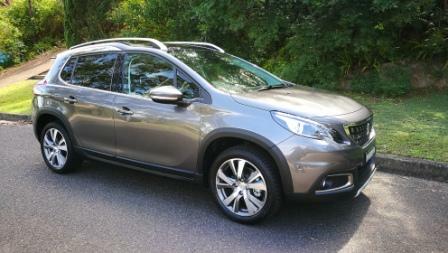 Peugeot Goes Touring With The 508. 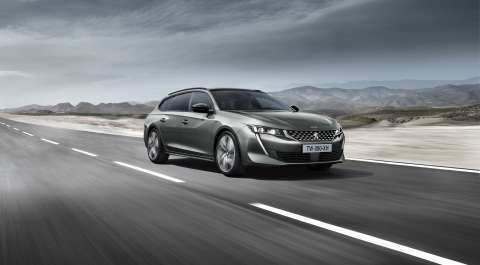 Peugeot continues its renaissance with the announcement of the revamped 508 range and the addition of the Tourer variant. This is currently scheduled for a release in the second half of 2019. 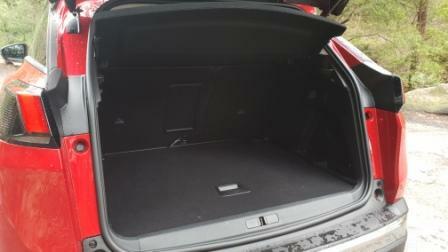 The Tourer will be released along with the “Fastback” and is based on a brand new from the wheels up design. Known as the EMP2, or Efficient Modular Platform 2, the design enables Peugeot to strip up to 70 kilograms from the mass of the Tourer. 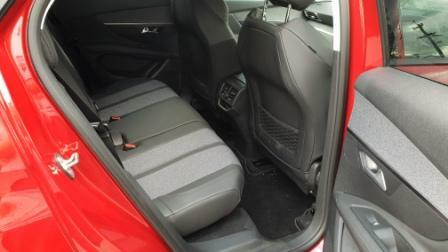 It also features a more compact design, a reduced height, yet without compromising interior packaging. 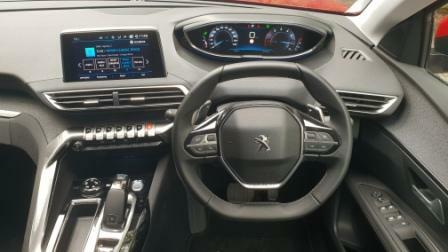 There’s a sharper, edgier design, and the interior has also been given an update which will feature the third version of Peugeot’s i-Cockpit. Motorvation will come from a new driveline combination; for Australia there’ll be a newly designed Aisin eight speed auto and will be paired with a 1.6L petrol engine producing 168kW. 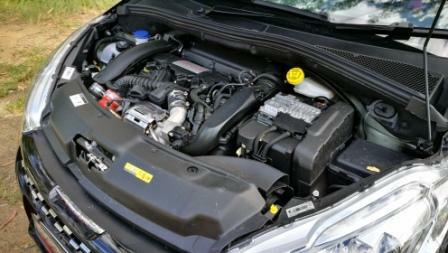 A slightly less powerful version, with 135kW, will also be available and paired with the same auto. 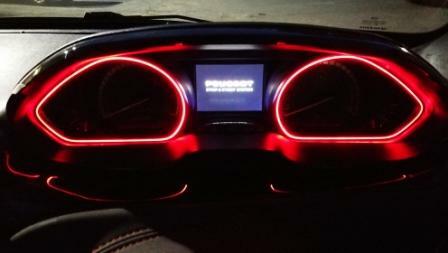 This will be seen in the Fastback and sedan versions at launch. Built into a chassis that will be at around 1420kg, it means a better power to weight ratio than most of the competitors the vehicles will be up against. Variants fitted with the 169kW engine will boast an 8.41kg/kW power-to-weight ratio while 133kW variants will also be competitive with a 10.67kg/kW power-to-weight ratio. 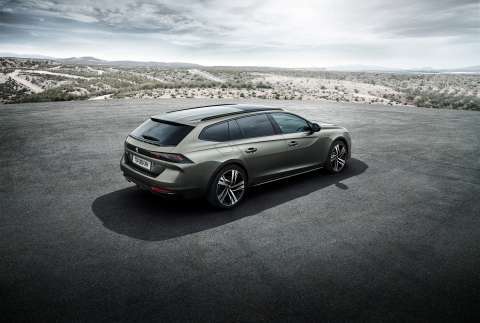 Ben Farlow, Peugeot Australia Managing Director, said the all-new 508 range’s arrival signifies the complete reinvention of the Peugeot line-up and heralds a new focus for the marque in Australia. Some say size isn’t important, and it’s how you use it. 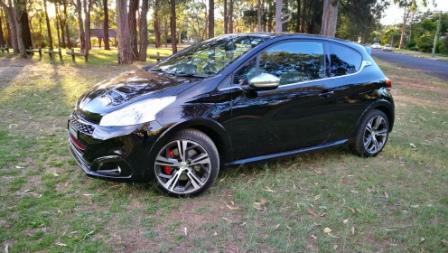 Clearly one of the world’s oldest car brands have this in mind with the 2018 Peugeot 208 GTi. With a starting price of a blink under $30K, it’s a pocket-sized road pounder with a smooth engine, slick six speed manual, and not a lot of real estate when it comes to the sheetmetal. 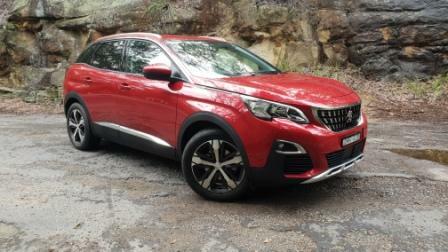 Hiding under the thumbnail sized bonnet is a turbocharged 1.6L four cylinder petrol engine, punching out 208 horsepower or 153kW. 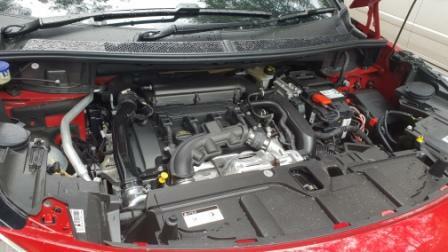 There’s also 300 torques on tap at 3000 revs but plenty of twist on board below that. 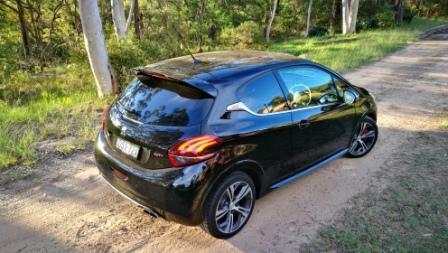 It doesn’t add up to be a rocketship but performance is nonetheless more than satisfactory. 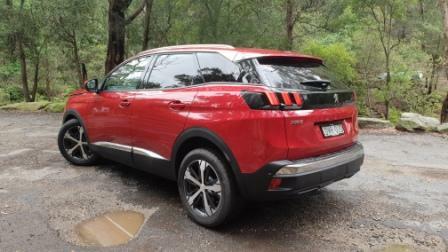 So is fuel consumption with a quoted combined 5.4L/100. 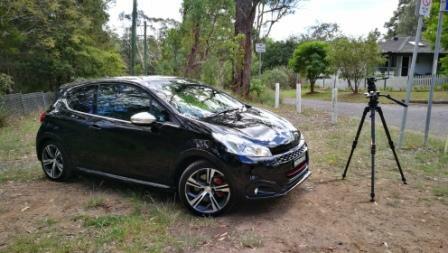 We clocked 6.3L/100 km in a mainly urban drive environment. The clutch is light-ish and the pickup point isn’t entirely precise but there’s enough feedback from the clutch pedal travel to engage it smoothly. 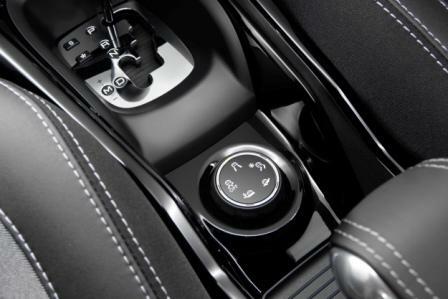 The six speed manual has more feel in the selector lever than Suzuki’s Swift Sport tested recently and is therefore more confidence inspiring. 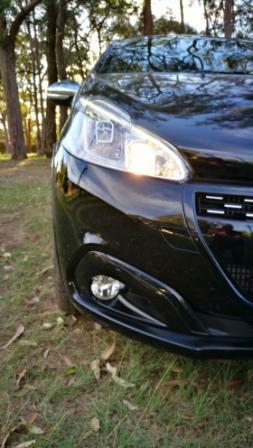 Once engaged there’s a minute hit of turbo lag before the torque comes in smoothly and allows the 208 to kick up its heels smartly. An 1160kg dry weight certainly aids this. Steering is well weighted via the flat bottomed, red striped, leather bound tiller. There’s some lack of connection dead on centre however lock either way has the steering become more communicative in regards to where the front wheels were going. Ride quality itself was firm, leaning towards hard, but with just enough initial give to not be completely uncomfortable. Out on the freeway, as a result, it was a flat, slightly taut feel to the chassis, and with the engine ticking over at around 2500 in sixth, right in the sweet spot for the waiting maximum torque. Changes of direction are lightning quick thanks to an overall length of 3973mm yet packs a 2538mm wheelbase. Front and rear track are almost identical at 1476mm and 1478mm respectively, also helping the rapid response handling. That gearing also made it pretty tidy around town, with fifth the preferred gear for most 80 km/h zones and sometimes needing a judicious heel and toe for lower velocities.Unfortunately, there was also more tyre rumble than expected on most road surfaces. 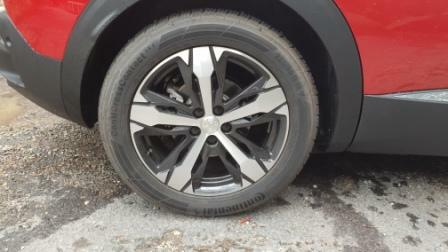 The Michelin Pilot Sport 205/45/17 rubber is superbly grippy but that grip came the cost of the aural noise. 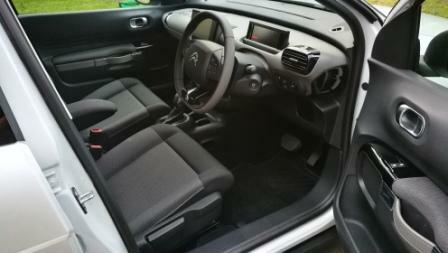 Inside the 208 GTi features the i-Cockpit setup favoured by Peugeot, and one that receives mixed reactions from some. 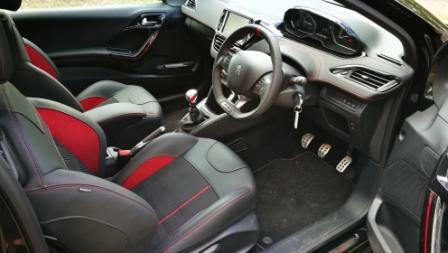 This has the driver’s dash binnacle sitting above the sightline of the steering wheel. 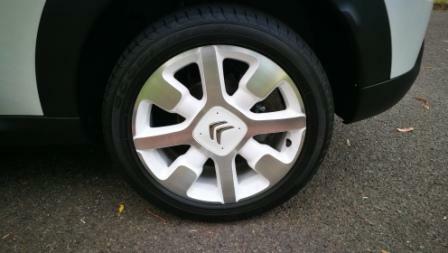 For me this wasn’t an issue but it’s also easy to see just how the top of the wheel could impede vision of the dials. Thankfully the steering column is adjustable for both height and reach.The binnacle itself has a switch, which when activated, limns the binnacle in blood red, matching the stripe on the wheel. 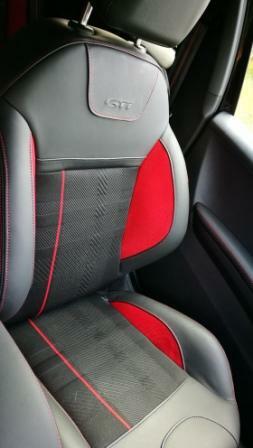 The cockpit itself is comfortable with red and black trimmed sports seating, which are fully manual in operation, soft touch materials throughout, and a seven inch touchscreen for satnav, reverse camera with guidelines, and six speaker audio. Apps are on board and using a USB connection has a smartphone connecting for Android Auto and Apple CarPlay. Other features include a tyre pressure monitoring system, folding power mirrors, six airbags, and Autonomous Emergency Braking. 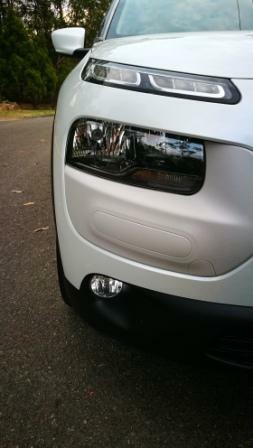 Outside there’s chromed exhaust tips, good looking alloys, cornering lamps, and rear spoiler. This sits over a cargo area that is, unsurprisingly, not big at 285L. That’s a little smaller than Ford’s Fiesta and quite a bit smaller than VW’s Polo. 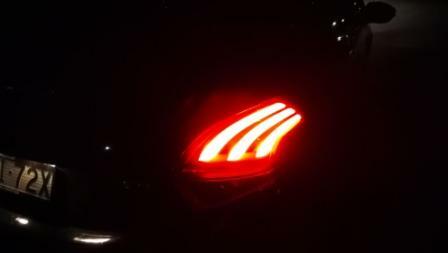 At night that’s overcome by the stunning claw tail lights. 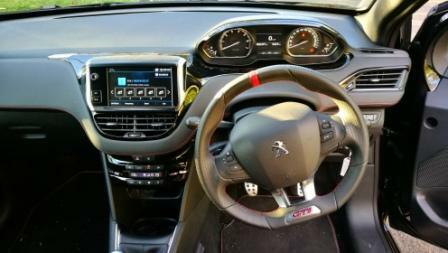 Peugeot offer a three year warranty or 100,000 kilometres and the Peugeot 208GTi comes with a five star ANCAP safety rating. At The End Of The Drive. The 2018 Peugeot 208 GTi continues a solid heritage and builds nicely upon the small hot hatch history. 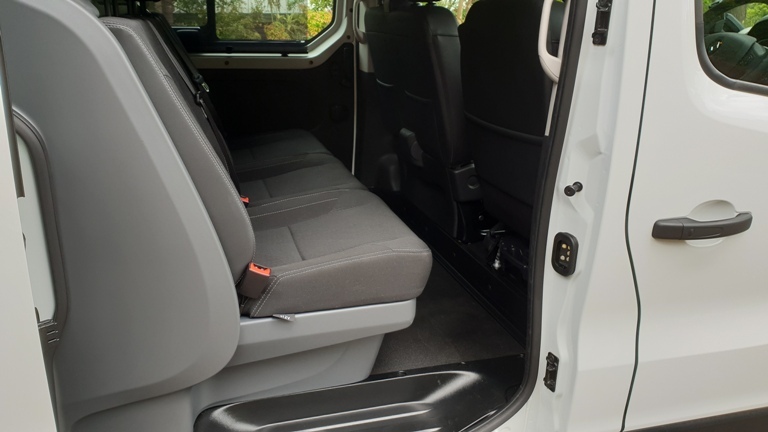 Although not as quick off the line as expected, the mid range driveability makes it more a usable day to day proposition, especially for a single person or couple. 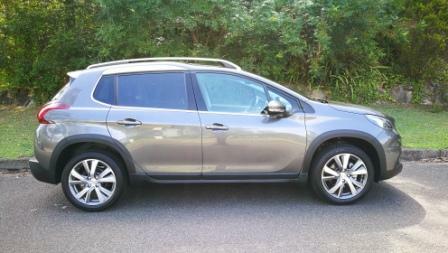 It’s a sweet handler and will happily take you at speed through twisting roads whilst sporting a healthy grin. 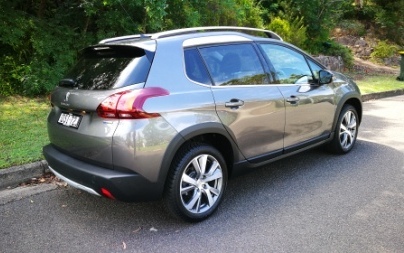 Head to Peugeot Australia for more info.